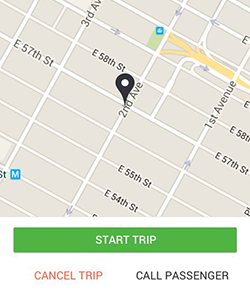 BOOK A RIDE AND BE ON YOUR WAY IN MINUTES. 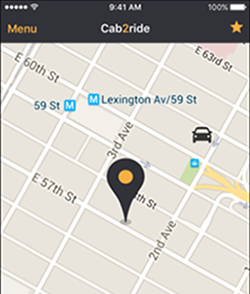 Riding with Cab2Ride is less expensive than a taxi, which makes getting around pocket-friendly. 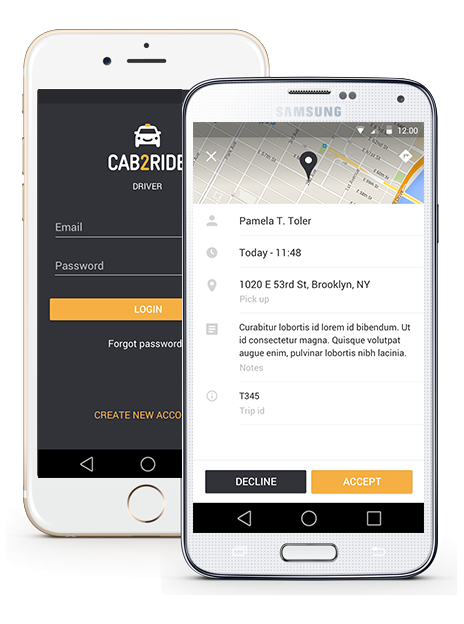 Cab2ride is the smartest and easiest way to get around. One tap of a button and you’ll have a car. Your driver knows exactly where to go. Easy payments - cash or credit. 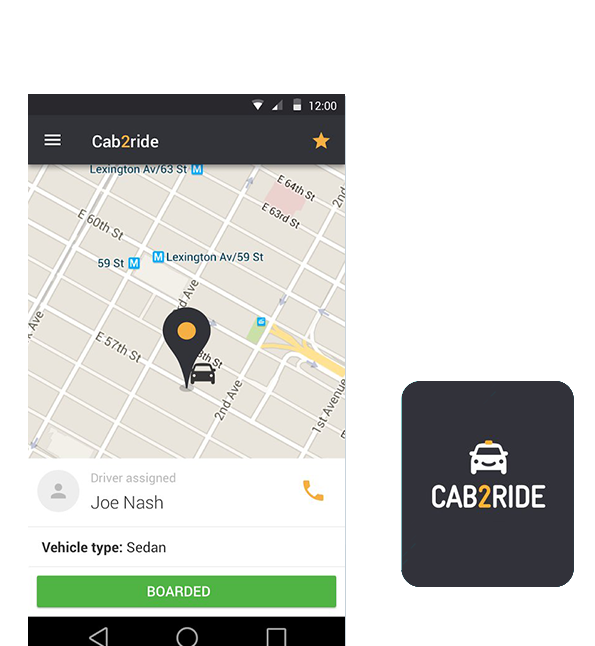 Cab2ride is the smartest and easiest way to get around. One tap of a button and you’ll have a car. Your driver knows exactly where to go. Easy payments - cash or credit. 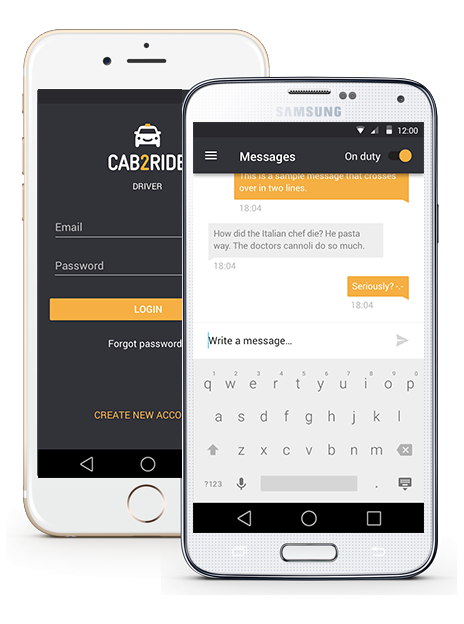 With Cab2ride you can book a taxi from your smartphone with just one click and in seconds. 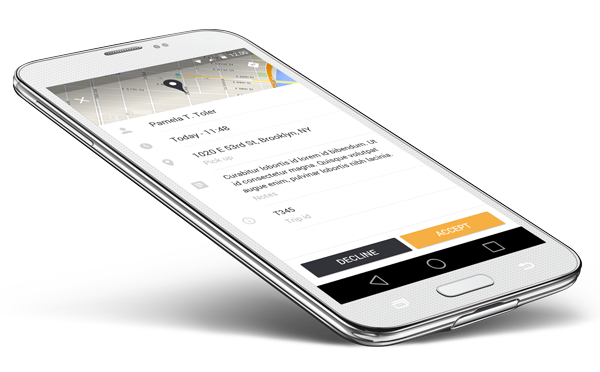 The app uses GPS technology to directly connect you with the nearest driver within a range right when you need it. You can also see as the driver approaches in real time and rate him or her at the end of the ride. 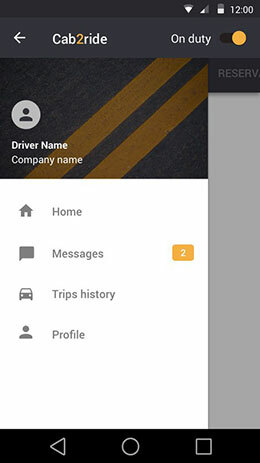 Cab2ride is designed to improve safety by allowing you to view driver’s name and rating as well as the vehicle information before a ride. @ Cab2Ride our drivers are always put first! 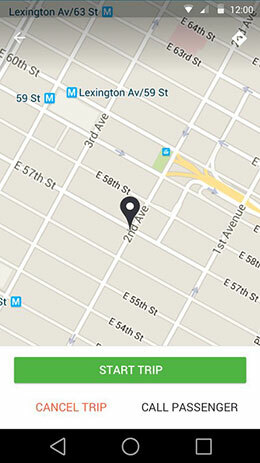 You get more customers and we send their car requests directly to you which makes it easier and faster. Tracking your customer has never been easier! With our GPS systems you have their location and their phone number to help you find them faster. Our systems allows for the passenger to make payments faster and you can get on your way quicker than before! Driving is always up to you, so it doesn’t intrude in your life. 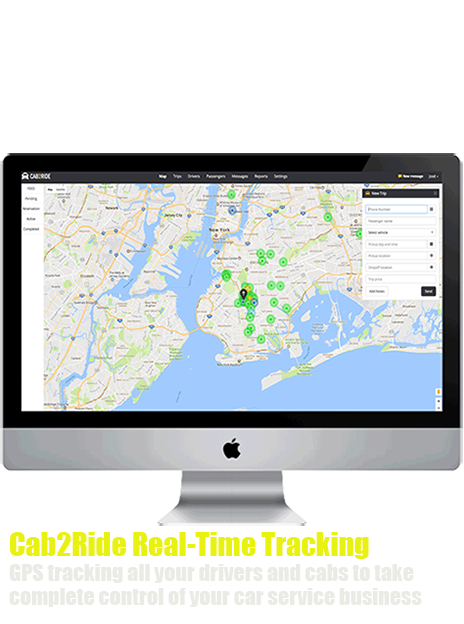 You will get turn-by-turn directions, to help you earn more. 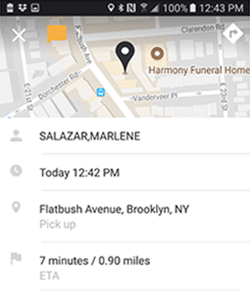 Manage the status of your rides with just a single tap. Interact with your passengers to enhance customer satisfaction. Overview of your trips history in one place. 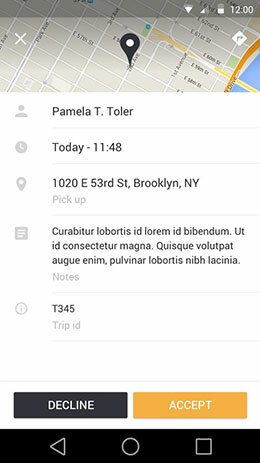 control bookings and managing the system. The cab company dispatcher has the ability to accept the phone booking and match the passenger with the nearest driver to ensure quick access using our GPS technology to determine drivers location. We also incorporated VOIP phone system to facilitate using our system even more so than another available dispatching platform. Make the right choice and become a part of Cab2Ride today. The taxi industry has changed. The era of Car Service has changed in the five boroughs of New York City, modernization is a must to succeed in the competing taxicab market. Passengers and Drivers have choices, is your company ready to get into the technology world of the new Car Service era? let Cab2ride Technologies help you grow your business today. See where your drivers are in real time, off-duty - On duty, see their trip progress at all time, ETA to the pickup location, sent them messages and much more. 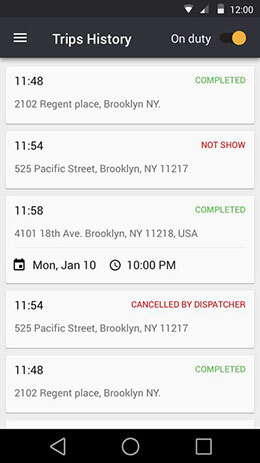 Give your passengers the freedom to request your drivers at any time, anywhere without contacting your dispatchers. 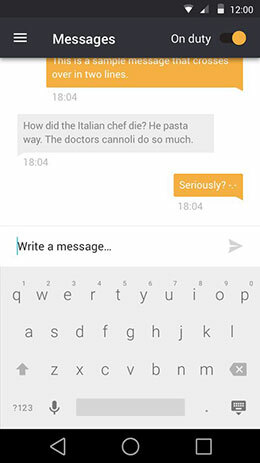 Please send your comments thanks. 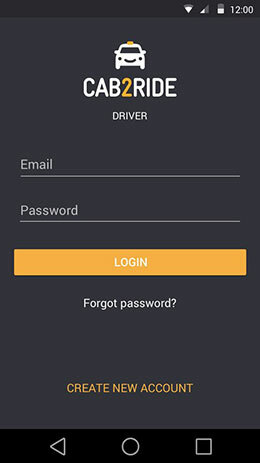 Cab2Ride is a new smartphone app that connects our passengers to their drivers. With this system, we make it easier for drivers to accept payments and to find and arrive at the destinations faster. to make their car service reservations. 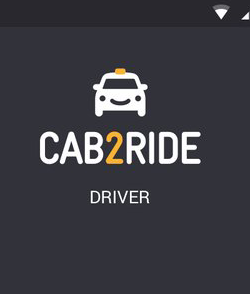 Cab2Ride we provide quality service and a price you can afford! Your feedbacks on how we are performing allow us to improve our service.